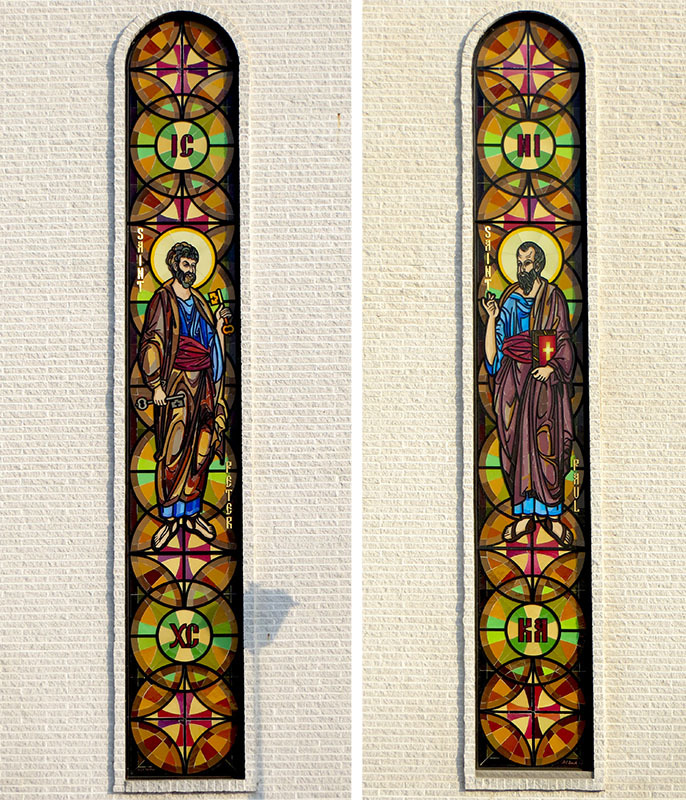 These Structural Stained Glass Mosaics are featured on the front facade of Ss. 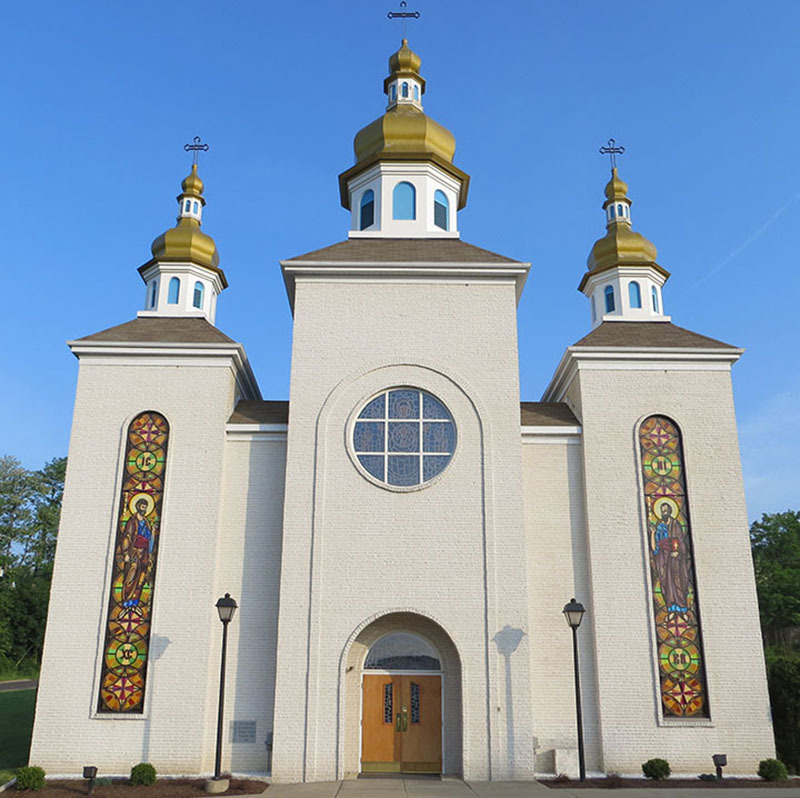 Peter & Paul Ukranian Catholic Church in Plymouth, PA. Each mosaic stands over twenty two feet high, and will endure all environmental weather conditionals. The opaque colors and subtle transitions are traditional techniques of "Smalti" mosaic. 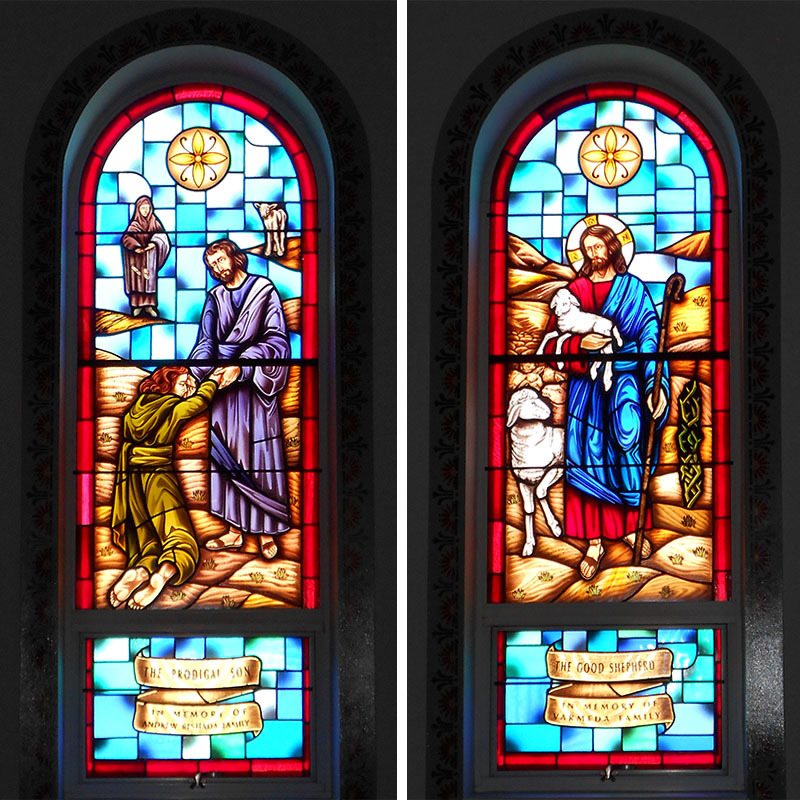 The structural construction allowed for the installation of these "in studio" prepared pieces into a curtain wall type frame. 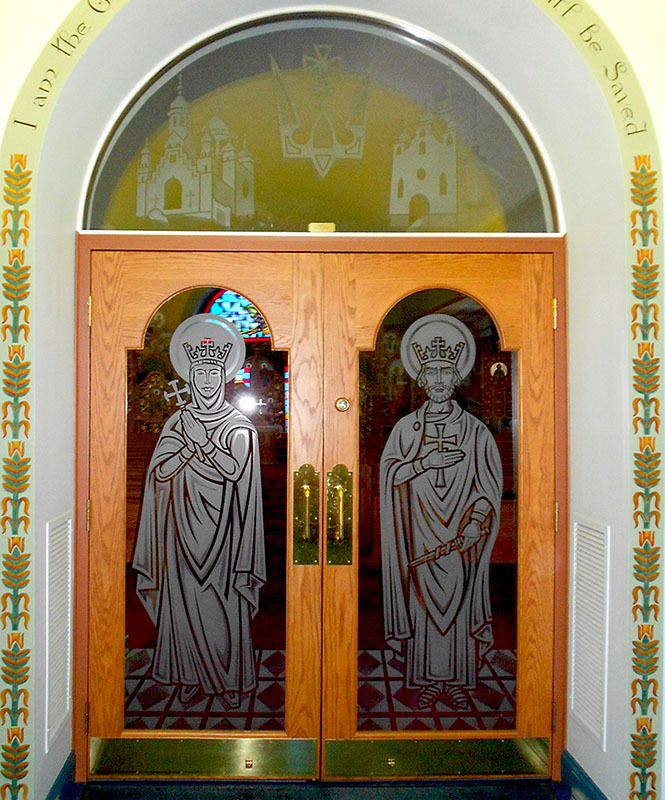 Other Baut works at this church include the stained glass windows and interior etched glass doors. 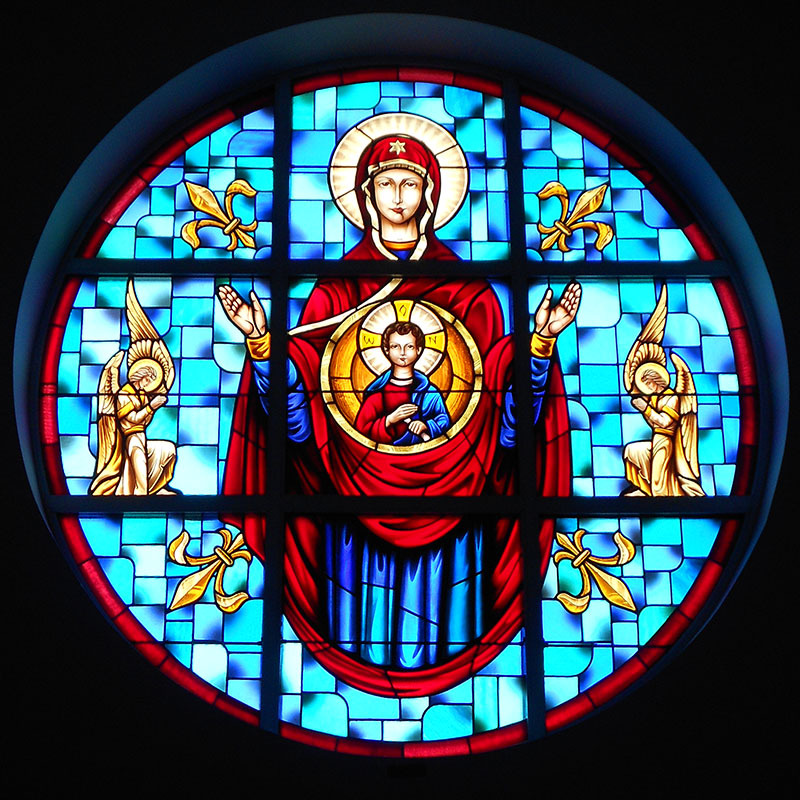 This window measures 42”W X 280”H approx.